Panasonic Corporation released a video, which introduces its projector solutions. Panasonic projectors are widely used at events all around the world. 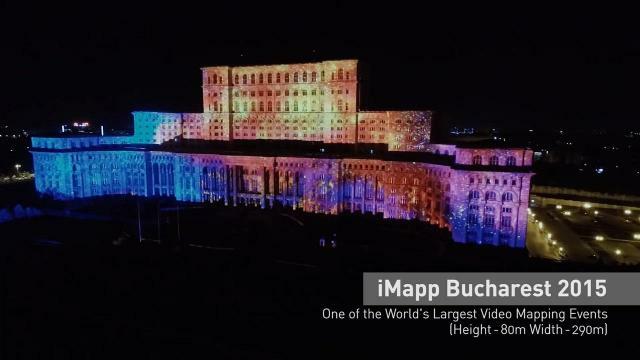 This video explains why Panasonic projectors are being chosen for the latest projection mapping events and Panasonic's future strategy for projector solutions through interviews with executives and engineers. "To set ourselves apart from the crowd, while developing products that reproduce images brighter and more beautifully, we have tried to make projectors more compact and versatile during installation," said Koichi Kawashima, Director, Visual Systems Business Division, AVC Networks Company, Panasonic Corporation. Panasonic has been developing new products based on the "1/2 concept" which aims to halve both the volume and weight. 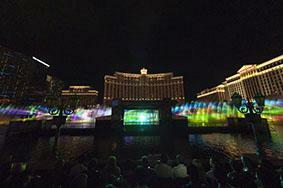 Big events such as projection mapping are often organized outdoors, and there are a lot of constraints in time and space. So the industry has been looking for a solution to facilitate the installation process. At the iMapp Bucharest 2015, one of the world's largest video mapping events, held in Romania, 104 units of 20,000-lumen Panasonic projectors were used to generate a bright beam over a long distance. Panasonic projectors were also used at the Kabuki Spectacle at Fountains of Bellagio: Koi-Tsukami "Fight with a Carp" organized in Las Vegas to project images onto one of the world's largest water screens. Ordinarily, cranes would be necessary to install projectors on the water, but Panasonic's projectors could easily be carried on and off the boat by hand. And its low power consumption enabled the use of a small generator, which was set up alongside each projector. "Around 70 percent of all the projectors used at the EXPO in Milano were from Panasonic", Kawashima explained. Panasonic projectors "excel in color performance and offer high contrast providing a remarkable projection," said Yuta Tanaka, Managing Director, Exhibition Consortium, Japan Pavilion, Milano Expo. Panasonic is currently developing Laser Phosphor Projectors, which boast a high brightness in a compact body. Yusuke Yamamoto, Staff Engineer, Visual System Business Division, AVC Networks Company, Panasonic Corporation described the key benefit of the laser projector. 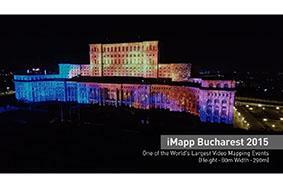 "With conventional projectors, we need to have a back-up for important events. But with laser, we don't have to worry about it." Panasonic has already introduced the world's smallest and lightest 4K+ Laser Phosphor Projector*, PT-RQ13K. *As of November 2015 among 10,000-lumen class projectors with 4K or higher resolution. "To make the experience more immersive and dynamic, Panasonic is working on shifting from HD to 4K, and in the future to 8K for large screens," concluded Kawashima. We would like to note that Panasonic Newsroom is not a place to address personal Customer Service issues. Even though this is not the forum, Panasonic is always eager to resolve your concerns. Our local customer services contacts can be found at http://www.panasonic.com/global/support.html or you can see our list of Social Media Accounts to find the right channel for your queries and concerns here http://news.panasonic.com/global/socialmedia/. Projector Case Studies: Why Choose Panasonic?